Duncan won a liveaboard cruise on the M.Y. 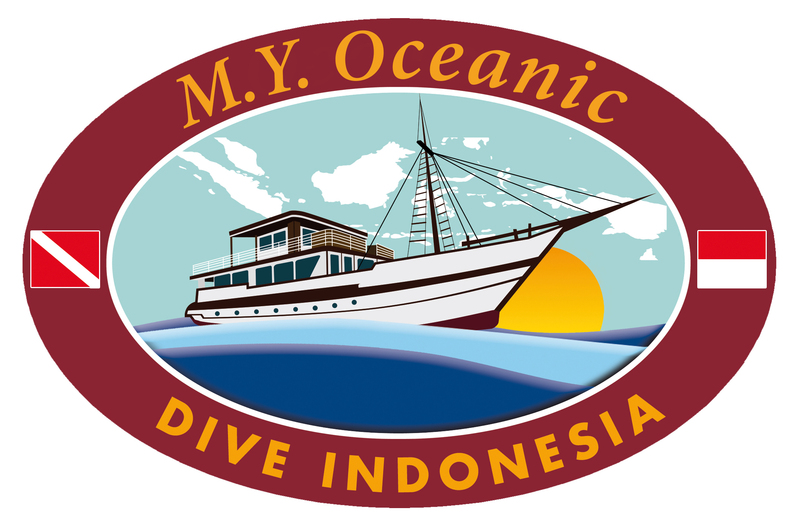 Oceanic to Indonesia's southern islands and 50% off for his companion. The Story: This was an amazing and unique encounter with these beautiful rays. I have seen them quite a few times in Honda Bay, Palawan, often in the vicinity of the whale sharks that I have been photographing for more than ten years, but I only managed to get close to them on one occasion when there was a large shoal of them feeding on a huge bloom of krill; I was mesmerized as they ascended all around me like a squadron of fighter aircraft. On this occasion there was no apparent feeding behaviour as five of them swirled around me. I was subsequently informed by an expert on mobulids that what I witnessed was courtship behaviour with several males in pursuit of one female, which has rarely been seen or photographed before. Like many wild animals they evidently lose any caution when they are engaged in courtship behaviour like this. I approached three of them that were interacting with their graceful balletic movement just beneath the surface, and after creating the striking formation in this photo by converging right in front of me one of them proceeded to swim directly at me and downwards, brushing up against my body as it swept below me. I was absolutely stunned and surprised by the bravado, or perhaps aggression, curiosity or sexual arousal that compelled that normally shy animal to make contact with me; it was as if I was included in the courtship and being touched by his sexual abandon. Or another possibility is that he was attracted by the reflection in the glass dome port of my housing because he came right towards my face. 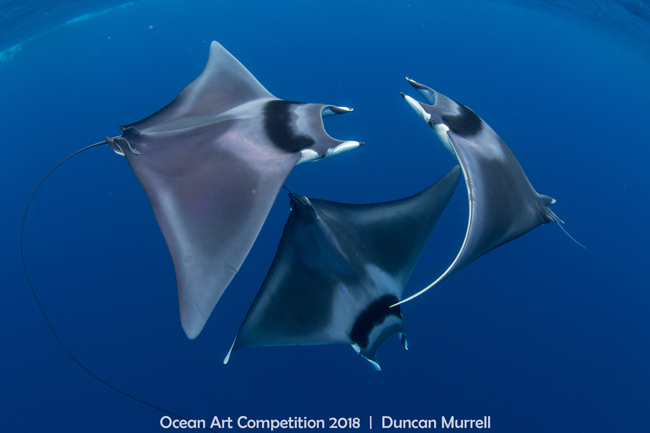 The one coming from the left has been identified from another photo as a female from the bite marks beneath her pectoral fin inflicted by the males, and the other two are mature males. It was without a doubt one of my most amazing intimate wildlife encounters.